Monday, June 4, 2018, the LBMCH staff were proud to sit with families and friends to witness the graduation of five Lee & Beulah Moor Children’s Home children. Hearts swelled with pride and eyes filled with tears as we watched these children walk the stage and receive their diplomas. According to the National Foster Youth Institute, high school dropout rates are 3 times higher for foster youth than other low-income children and nationwide, only about half of youth raised in foster care end up finishing high school. At LBMCH the staff and more importantly the children are determined to see this change within our program. Beginning a new phase of life is an exciting time but there is always a little bit of fear too. We pray that these students have a smooth start and accomplish great things. Graduation is the finishing of one life course and starting a second stage of life. Congratulations to our 2018 graduates! May you be blessed in all that you strive to achieve and remember the doors of “Home” are always open! Olivia D. – after just over a year in placement, Olivia graduated from El Paso High. She is excited to be attending El Paso Community College this Fall and while she is undecided about her major, she is leaning towards joining law enforcement in the coming years. Olivia enjoys spending time in her cottage and listening to music with peers. She loves all things Super Heros and is a Steelers fan. Ricardo O. – a resident of LBMCH for a almost 2 years, Ricardo is a recent graduate of El Paso High. He enjoys attending church and is a leader in his spiritual beliefs. He believes he has grown stronger during his placement at LBMCH and wants to be able to help others just as someone helped him. Ricardo plans to attend El Paso Community College this Fall and pursue an education in the engineering field. Gilbert J. – Gilbert is another proud graduate of El Paso High this year. While attending school, he not only improved his GPA and finished school strong, but played on several of the EPHS sports teams. Gilbert believes that his 5 year stay at LBMCH has shaped him into who he is today and his aunt agrees, crediting the program for steering Gilbert away from a life in the gangs. Gilbert holds a part-time job at a local grocery store and plans to attend UTEP this Fall and become an engineer. Will M. – Will graduated this year from Northwest Early College with a High School diploma and an Associate’s degree. Living on campus for over 4 years, in both our general residential program as well as our transitional living program, Will has not only been successful in school, but excels in sports and is a true leader to the other children on campus. We are proud to say that Will has enlisted in the Armed Forces and plans to become an Occupational Therapist one day. James D. – a resident of LBMCH for 2 years, James graduated this year from El Paso High like so many of his cottage mates. James is a talented athlete with his favorite team sport being soccer. He has been a long standing member of our 5K team and enters as many local races as he possibly can. James will tell anyone that asks that living here at the Home has helped him learn to believe in himself. His dedication to improving his self-esteem has allowed for both personal and team growth. James is planning on attending UTEP this Fall and majoring in mechanical engineering. Alison B. 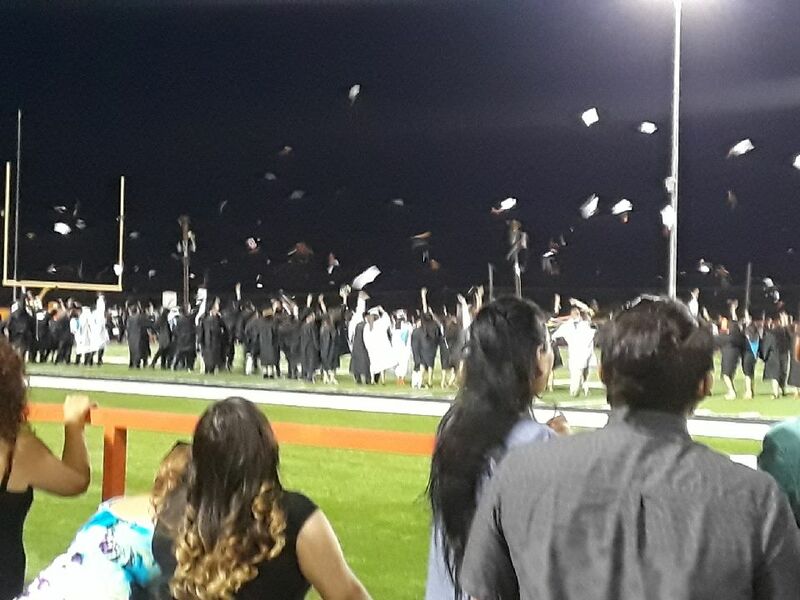 – After 3 years in placement, Alison graduated from Pebble Hills High School this month. Alison considers her foster family as her own and credits her “family” and LBMCH for “saving” her. After a rough beginning to her teen years, Alison has flourished in care and has become a strong, successful young woman. She graduates with a 95 average in school and plans to attend El Paso Community College Fire Technology Academy, as well as pursuing an undergraduate degree in English Lit. Mark J. – 2 years ago, Mark joined our LBMCH family and has found amazing success in the program. Homeless and unsure of his future, Mark quickly became grateful for the opportunities the Home provided. He is very motivated and has been focused on his education from day one. Mark enjoys building things with his hands and enjoys math and science while helping the younger children in the program with their math homework. This year Mark graduated from El Paso High and will be attending UTEP this Fall to pursue an education in mechanical engineering.